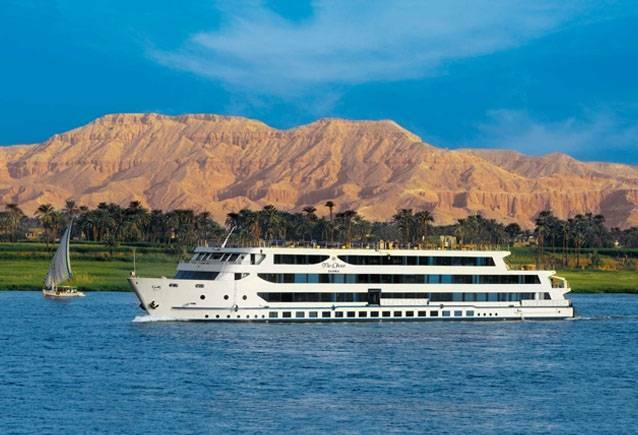 Cruise down the Nile River from Luxor to Aswan on a leisurely 5-day, 4-night boat tour. Sightsee along the banks of the river on multiple different stops; everything is planned for you, making this packed tour easy and stress-free. Highlights include the Temple of Karnak, the Temple of Luxor, the Valley of the Kings, Colossi of Memnon, The Temple of Queen Hatshepsut, Abu Simbel, Kitcheners Island, and others. Along the way, listen to in-depth commentary from your guide on the history and culture of the area. As per requested time meet & assist by our local representatives at your Hotel in Luxor or From Luxor airport then transfer to the Nile Cruise. Boarding before Lunch. Lunch on board. Visit The Temple of Karnak & the Temple of Luxor. excursion to the Luxor Temple to see its courtyard and the granite statues of Ramses the Great Proceed by carriage or bus to Karnak, which is serious of temples built in different reigns. Starting by the Avenue of Sphinxes visit the Unfinished Pylon, the Hypo style Hall with it's 134 gigantic columns, the Obelisks of Queen Hatshepsut and Tutomosis III, the temple of Amon adorned with lotus and papyrus designs, the Granite Scarbeus of Amenophis III and the Sacred Lake. Afternoon tea. Dinner on board & Belly Dance show. 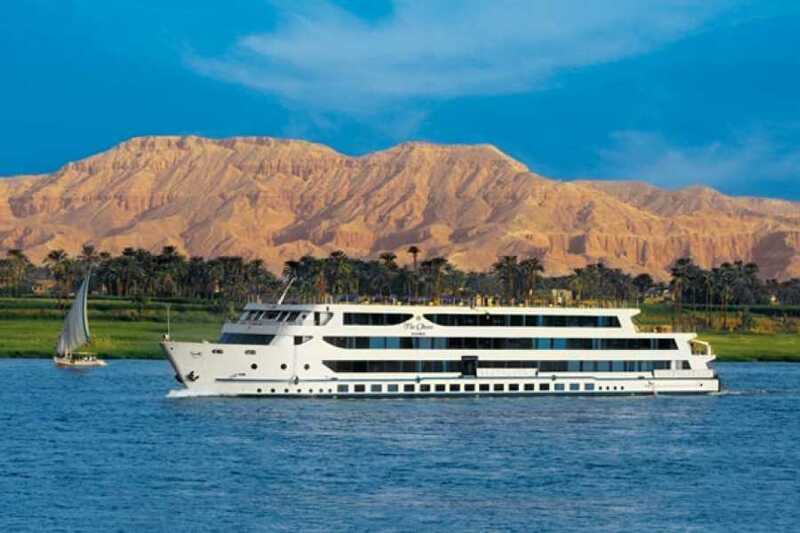 Breakfast on Board then Tours The West Bank – the Valley of the Kings, Colossi of Memnon and The Temple of Queen Hatshepsut at El Deir El Bahari. Excursion to the Valley of Kings; visit the tombs of various Dynasties, The Temple of Deir El Bahari. On the return journey stop at the Colossi of Memnon which are two gigantic sitting statues representing Amenophis III facing the Nile. Then visit the Temple of Queen Hatshepsut. Lunch on board.Sail to Esna. Afternoon,Tea. Disco Party. Overnight on Board in Edfu. At 10.00am meet and be assisted by your representative at your Hotel in Luxor or at Luxor airport. You will then be transferred to the Nile Cruise and board before lunch. After lunch on board you will visit the Temple of Karnak and the Temple of Luxor. At Luxor Temple see its courtyard and the granite statues of Ramses the Great. Proceed by bus to Karnak, which is a serious of temples built in different reigns. Starting by the Avenue of Sphinxes visit the Unfinished Propylon, the Hypostyle Hall with it's 134 gigantic columns, the Obelisks of Queen Hatshepsut and Tutomosis III, the temple of Amon adorned with lotus and papyrus designs, the Granite Scarbeus of Amenophis III and the Sacred Lake. Return to the boat for afternoon tea. Enjoy dinner on board and see a belly dance show. Overnight in Luxor. Enjoy breakfast on board then Visit The West Bank – the Valley of the Kings, Colossi of Memnon and The Temple of Queen Hatshepsut at El Deir El Bahari. You will then have an excursion to the Valley of Kings, tombs of various Dynasties, The Temple of Deir El Bahari. On the return journey stop at the Colossi of Memnon which are two gigantic sitting statues representing Amenopis III facing the Nile. Then visit the Temple of Queen Hatshepsut. Have lunch on board before sailing to Esna. Enjoy afternoon tea and dinner before a disco party. Overnight in Edfu. Breakfast on board. Visit the Temple of Horus in Edfu. Sail to Kom Ombo. Have lunch on board before visiting the Temple shared by the two Gods Sobek and Haroeris in Kom Ombo. Enjoy afternoon tea. Have dinner on board before a Galabya party. Overnight on board in Kom Ombo. Have breakfast on board and sail to Aswan. Upon arrival in Aswan you will visit the High Dam, the Granite Quarries and the Temple of Philae. Have lunch on board and sail on the Nile by felucca around Kitchener's Island and AghaKhan Mausoleum. Have afternoon tea and dinner on board. Overnight in Aswan. Breakfast on board, then disembark for your transfer to Aswan airport.